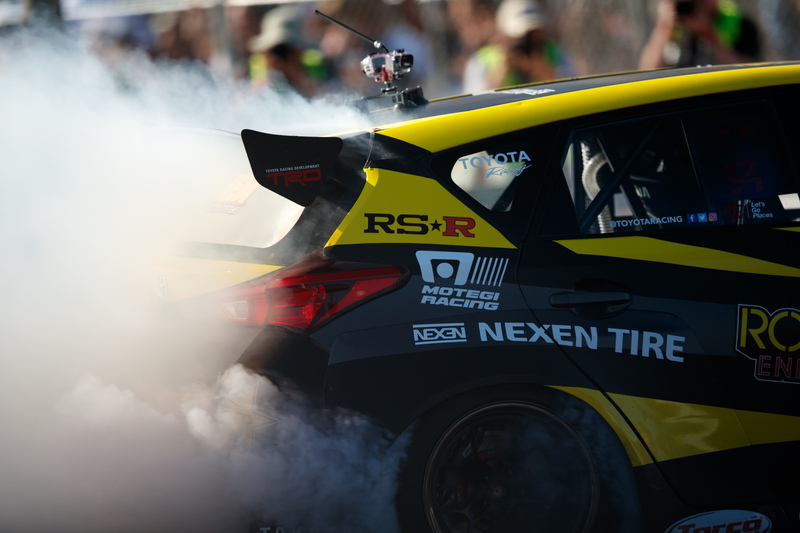 LONG BEACH, California (April 2, 2017) — The Rockstar Energy Drink / Nexen Tire Toyota Corolla iM showed winning potential in its Formula Drift debut this weekend in Long Beach. 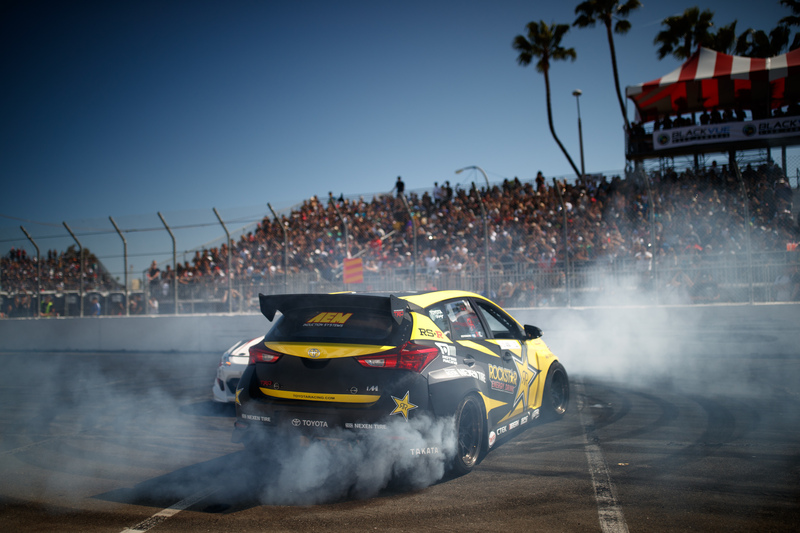 Driver Fredric Aasbo scored a solid fifth-place finish in his first outing with the brand new car. Toyota unveiled the vehicle less than a week ago at the NASCAR race at Auto Club Speedway in nearby Fontana, California. The Rockstar Energy Drink / Nexen Tire Toyota Corolla iM is a rear-wheel-drive converted hatchback that produces 1,000 nitrous-boosted horsepower from a Toyota 2AR engine. 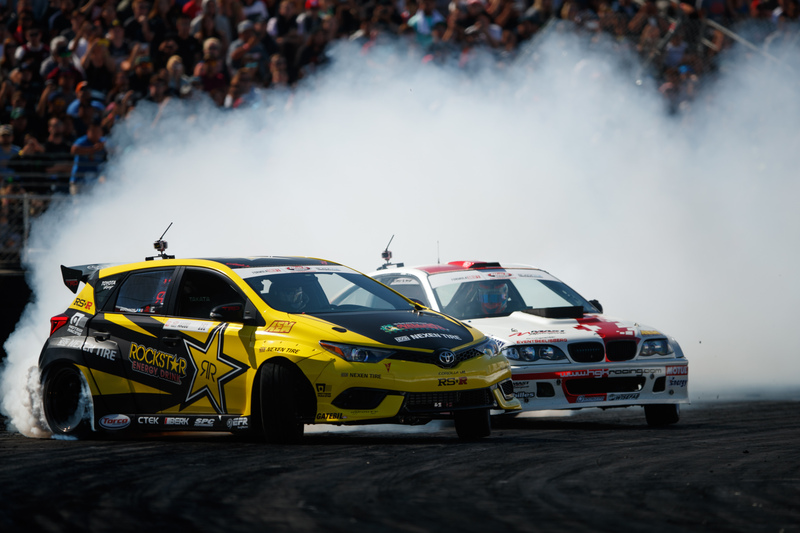 The Formula Drift season opener in Long Beach saw plenty of upsets, with a pair of first-timers in the final head-to-head match of the day, and several surprise eliminations in early rounds. But Aasbo showed himself to be a contender from his first competition run. Aasbo qualified fourth and earned a bye into the Top 16, where he advanced past Latvian Kristaps Bluss. In the quarterfinal round, he met Alex Heilbrunn. Judges deemed their exciting head-to-had battle too close to call, and initiated a One-More-Time rematch. 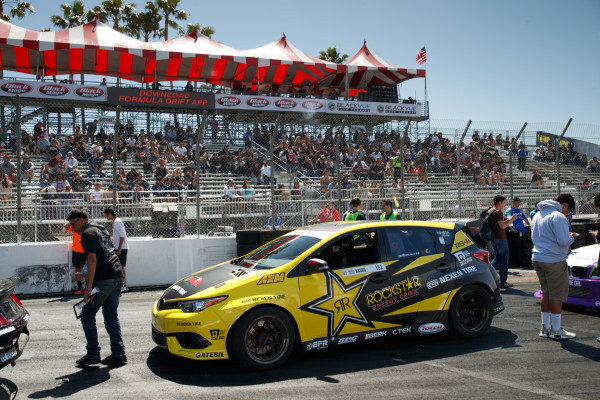 As the higher qualifier, Aasbo led first in the rematch and he put in a confident performance to take the early advantage. 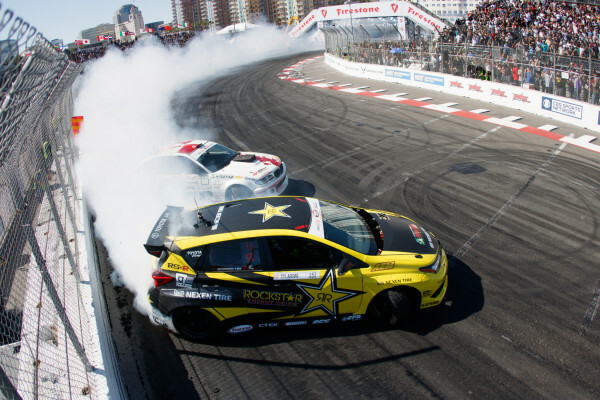 The duo swapped places for the second half of the battle, with Aasbo giving chase. As he was reeling in his rival, the clutch slipped and he briefly lost the line. He recovered quickly to resume the fight but the stumble was enough to cost him the match and it was Heilbrunn who advanced to the next round. Team owner Papadakis said the team has a clutch upgrade on standby and plans to move to a four-disc setup for the next round. The Formula Drift season opened for the 12th year in a row on one of the most challenging tracks in the series. Drivers threaded the needle between intimidating track walls, sliding at 90-plus miles per hour through Turns 9, 10 and 11 of the Toyota Grand Prix of Long Beach street course. The event is an annual sell out that sees enthusiastic fans pack into the venue, overflowing grandstands and crowding into the vendor display and pit areas during scheduled breaks in the action.